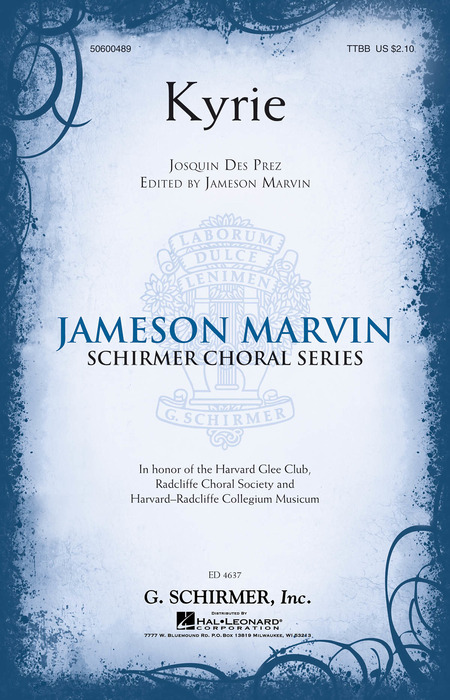 Jameson Marvin was Director of Choral Activities, Senior Lecturer on Music at Harvard University for 32 years. 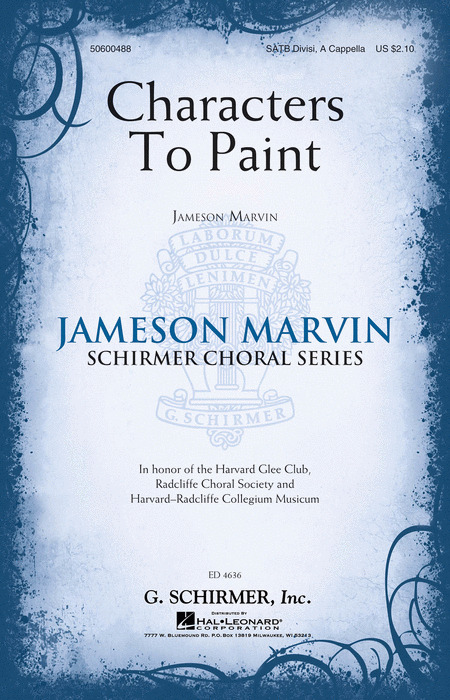 From 1978 to 2010, Harvard's Choral Program garnered a distinguished national reputation. 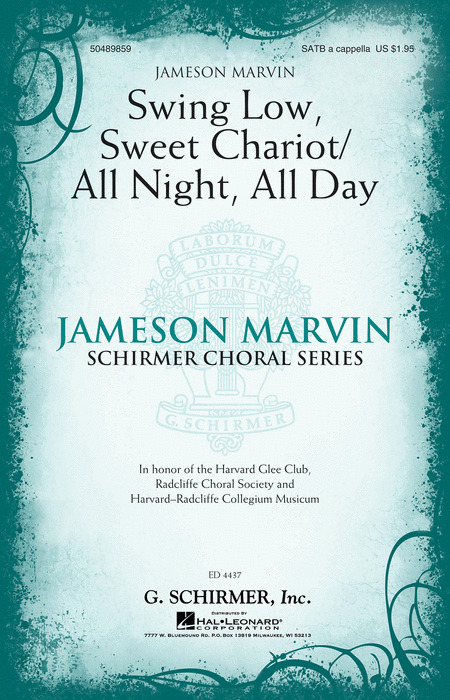 Under his conductorship, the Harvard Glee Club, Radcliffe Choral Society, and the Harvard-Radcliffe Collegium Musicum, rose to be among the premier collegiate choruses in America. 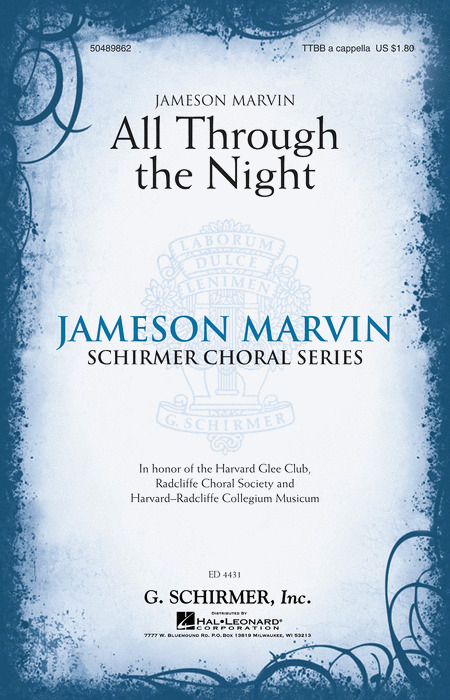 These ensembles appeared at nine Eastern Division and seven National Conventions of the American Choral Directors Association, and the Choral Program at Harvard was named by Classical Singer magazine the top collegiate choral program in the United States. 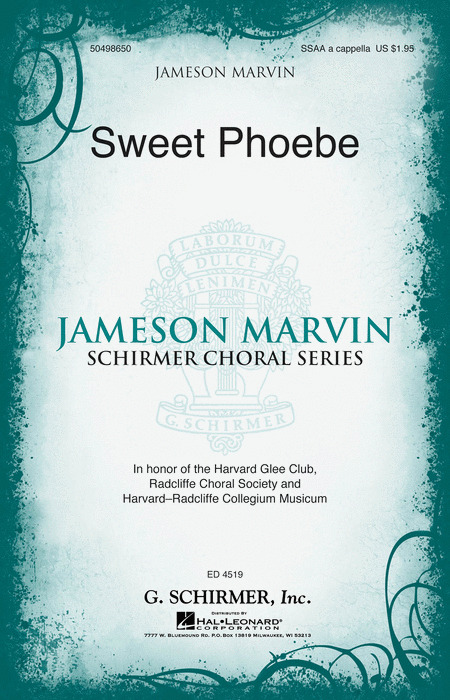 Written for the professional choir, The Jameson Singers, this moving text by Phillis Wheatley unfolds in long vocal lines with broad dynamics and liberal use of rubato. This is the convergence of visual, literary and musical art and offers tremendous room for discussion among the performers as they uncover the depth of this work. Jameson Marvin and the Harvard Glee Club have been the standard bearers for serious music for men's choirs for decades. This beautiful, easy-to-read edition from the des Prez Missa Mater Patris will be a welcome addition to your library. 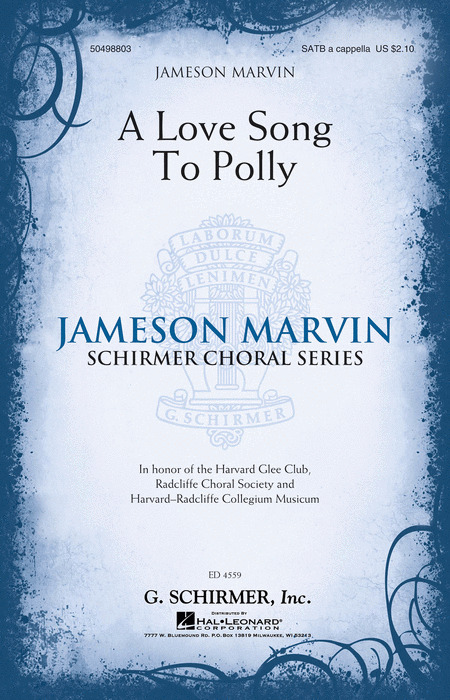 Jameson Marvin, through his work with Harvard and Radcliffe, has re-established the importance of teaching polyphony in the modern choral classroom. 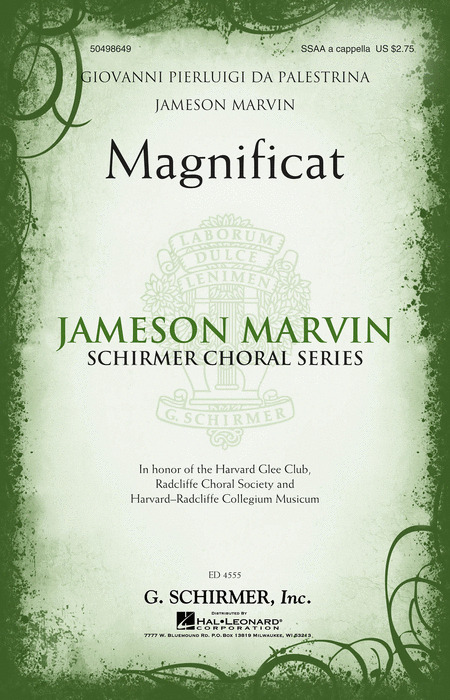 This beautiful setting of the Magnificat by Palestrina has been editited by Dr. Marvin to accommodate modern notation, clefs and measure lines. 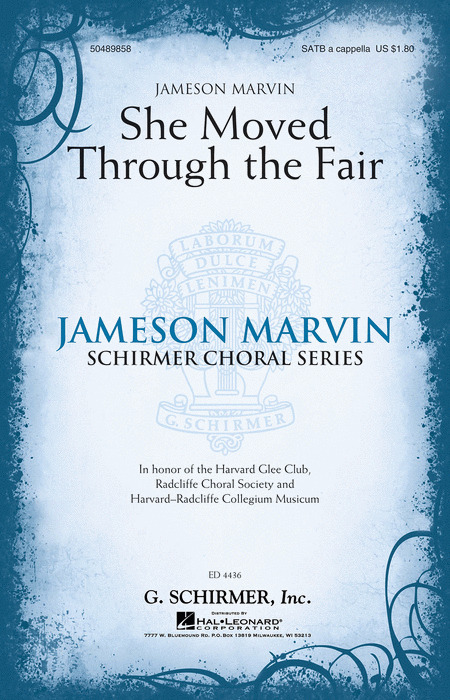 He also maintains rhythmic groupings enabling the singers to move beyond the tyranny of the bar line and bring a beautiful and authentic performance to the stage. Described as choral counterpoint for church choirs, these two short selections, God Thoughts and Majesty of Mountains, are gems that can be used as responses in worship, or combined, as a lovely anthem.